On the morning of their fifth wedding anniversary, Amy Dunne suddenly disappears. The police suspect her husband Nick. All the clues point towards him, but he swears he has nothing to do with her disappearance. So what did happen to Nick’ beautiful wife? 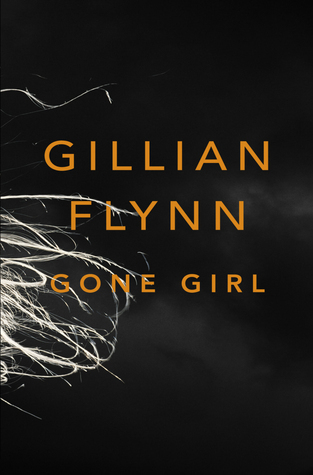 Since the book’s release in 2012, Gone Girl has become a huge success in the USA and UK, achieving numerous awards and praise, and with the film rights secured, the book promises to be a hit. You as the reader attempt to play detective, as you gather together all the clues (and lies) you are fed before they are abruptly snatched away and you have to start all over again. You will find yourself unsettled and unnerved throughout this twisted story of mystery, dishonesty and unhappiness. 1. Consider Amy and Nick Dunne as characters. Do you find them sympathetic…at first? Discuss the ways in which each reveals him/herself over the course of the novel. At what point do your sympathies begin to change? 3. How would you describe the couple’s marriage? What does it look like from the outside…and what does it look like from the inside? 4. Does the novel make you wonder about your own relationship? And can you ever truly know the other person? 5. Amy and Nick lie. when did you begin to suspect that the two were lying to one another… and to you the reader? Why do they lie? What do they gain by it? 6. Do you find Gillian Flynn’s technique of alternating first-person narrations compelling or irritating? Would you have preferred a single, straightforward narrator? What does the author gain by using two different voices? 7. Flynn divides her narrative into two parts- Why? What are the differences between the two sections? 8. In what way does Amy’s background- her parents’ books about her perfection- affect her as an adult? 9. Did you suspect Nick’s big secret? Were you surprised or shocked? 10. Do you think the book will make a good film?